This is a great guide from HF Trust. 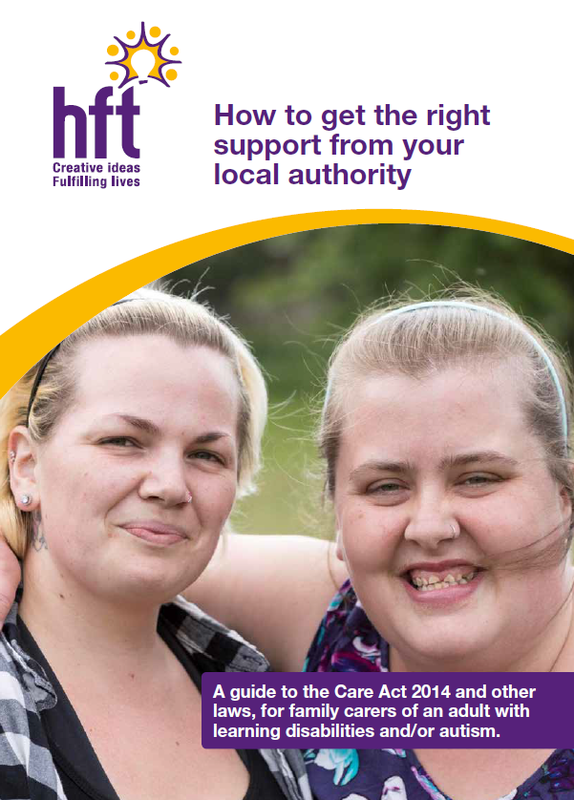 This guide is for family carers who have a relative with learning disabilities and/or autism and who want to know more about their rights under the Care Act. Through our one-to-one support with family carers, we speak about the most relevant laws, policies and resources to help strengthen their cases when communicating with local authorities. This guide brings all that information together in one place. The main focus is on the Care Act 2014 (and the accompanying Care and Support Statutory Guidance) and how it can be used to support family carers in conversations with their local authority. We have also included a section that outlines the principles of the Mental Capacity Act 2005. There are examples throughout of how these laws can be used in practice, and we have referenced links to useful resources. We haven’t covered all aspects of the Care Act, but have included what we think are the most important aspects for family carers to be aware of. We have kept in mind that a family carer reading this guide may already have encountered a problem and be looking for ways to resolve it. Knowing where to start can be daunting, and so the first chapter offers general information on how to challenge when things aren’t right. The rest of the content will support your ability to promote your relative’s rights under the Care Act, and yours as a family carer, when communicating with the local authority. It may also make you aware of rights that you didn’t realise you both have.